Juan Leal “El Cascabel”, is a Latin American, Spanish voice over talent who started his professional career in 1995. 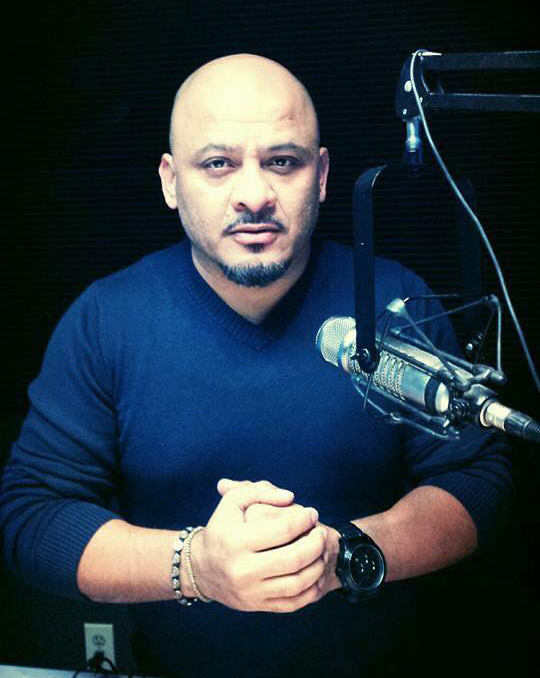 He is a radio personality working in Bakersfield, California, on air with 96.9 La Caliente. He also has experience in television and stage, where he has done the weather, news, and on stage comedy as well as master of ceremonies. His vocal skills encompass multiple voices such as: Old men, old women, children, dynamic commercial, deep and suspenseful, comedic performances, and of course his own voice. His varied repertoire already includes work to include: auto dealership spots, infomercials, narrations, commercials, and spoken word poetry. His versatile voice can be lent to cartoons, movie trailers, documentaries, audio books, and much more. Juan Leal “El Cascabel”, is a graduate of the Universal School of Communications in Bakersfield, CA, and is currently the talent behind the morning show “El Show del Cascabel y Compañia” at 96.9 La Caliente. He currently lives in Bakersfield, California, where he hopes to branch out his career into the voice over industry. He has worked on hundreds of projects for brands including Comcast, Crest, Mc Donald's, AT&T, VMW, Hyundai, Bright House Networks, Toyota, Domino's Pizza and many many more.